A Beautiful Classic Revived by Stunning New Illustrations Created in the Golden Age Style. 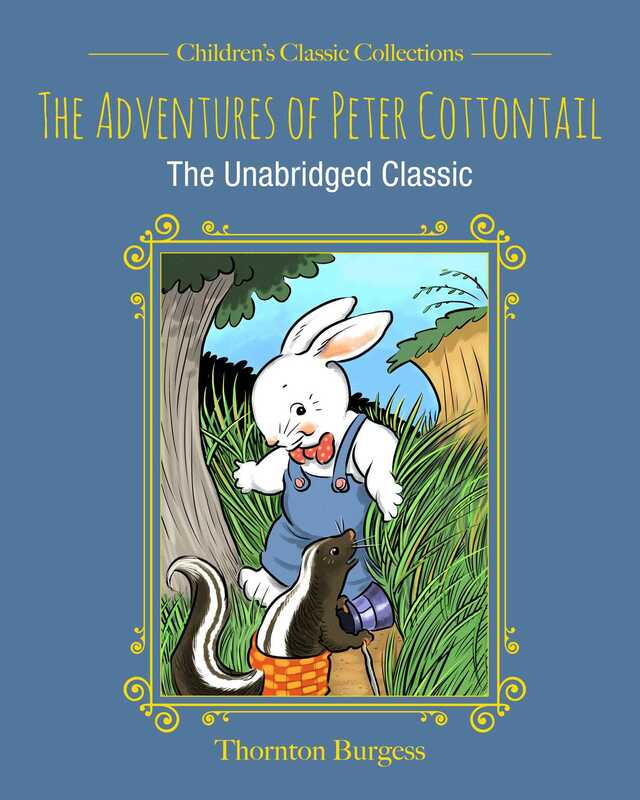 Not to be confused with Beatrix Potter’s storied rabbit, Peter Cottontail is the creation of famed writer Thornton Burgess, who created the character for his son. Follow the adventurous young rabbit as he explores the Green Forest and Purple Mountains, all while grappling with his identity and evading a hungry fox. Featuring all-new full-color artwork by Tim Foley, illustrated in a classic style reminiscent of the Golden Age of book illustration, this charming edition is guaranteed to captivate readers young and old. Thornton Waldo Burgess, naturalist and conservationist, loved the beauty of nature and its living creature so much that he wrote about them for 50 years. By the time he retired, he had written more than 170 books and 15,000 stories for daily columns in newspapers.